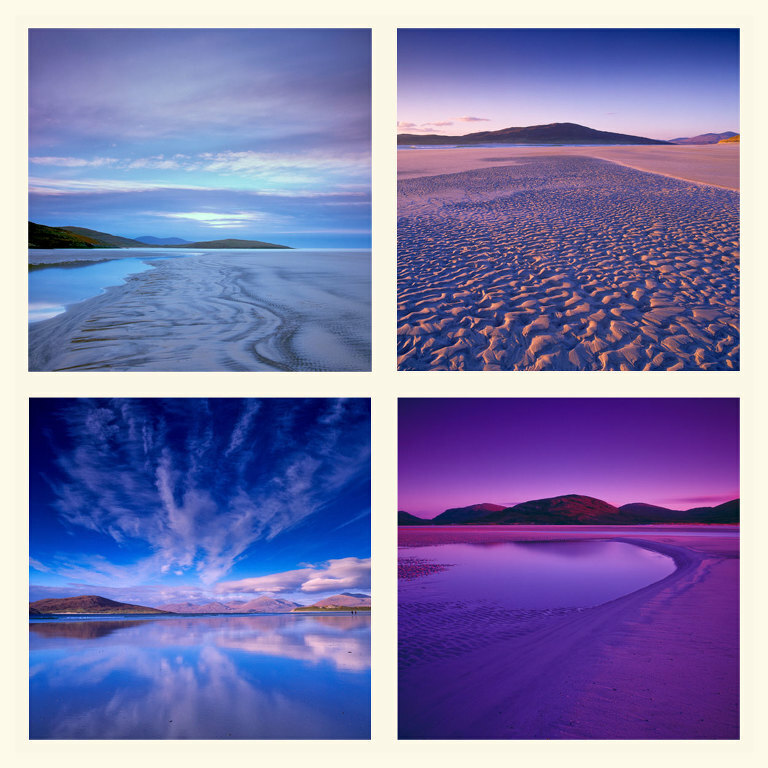 The Outer Hebrides are a landscape photographer’s paradise. Unique mountain geology, the finest beaches on earth, mysterious prehistoric sites, a strong cultural identity and the changing light of North Atlantic weather patterns set these islands apart. I have hosted photography workshops in the Outer Hebrides annually for the past several years and I know the Islands well. 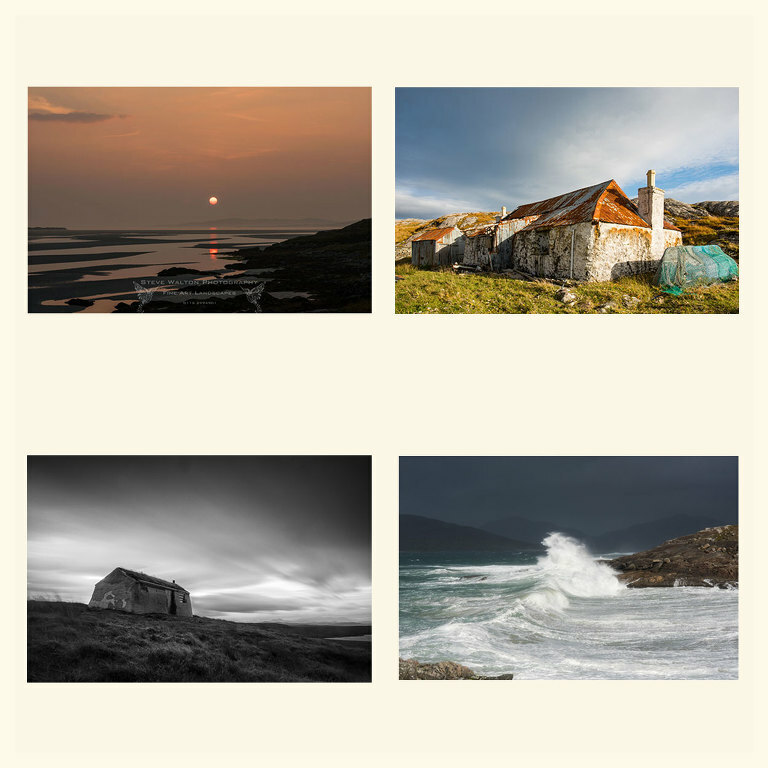 The workshop will take in all of the iconic locations of the Islaes of Harris, Lewis, Scalpay, and more. My Wild Light Photography Workshop groups are intentionally small and the group size is restricted to four participants only. Open to all abilities, the emphasis is on learning and improving your existing skills with individual tuition, spontaneous fun and ‘off piste’ exploration included. Single en-suite accommodation at the comfortable Harris Hotel in Tarbert, breakfasts, evening meals and transport to locations during the workshop are included in the cost with no single supplements. Personal pick-up and drop-off at Stornoway Airport or ferry terminals are also included. Dietary requirements can be accommodated and locations on the tour are easily accessible. Image reviews and post processing tuition in the welcoming Hotel bar in the evenings are a great social time for the group after a day of photography. 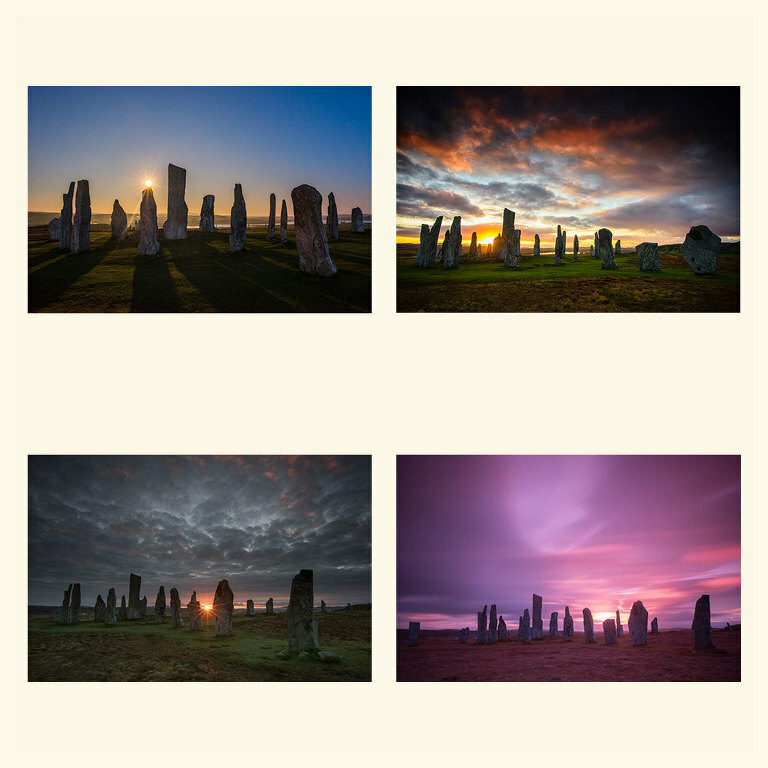 Sunrises and sunsets, deserted Hebridean beaches, abandoned crofts and awe-inspiring standing stones at Callanish and surrounding sites are our locations for the workshop. Sunrise at Callanish will provide you with an unforgettable experience and we often follow that with an equally unforgettable sunset at Luskentyre on the same day. Eilean Glas lighthouse at sunset is well worth the walk out across the moorland on the peat cutter’s track and the concrete hulk of the WW1 coal barge Cretetree are just two of the features we will visit on the little island of Scalpay. Join me on this Wild Light Photography Workshop in the Outer Hebrides from 29th October to 2nd November 2018, we are booking now. 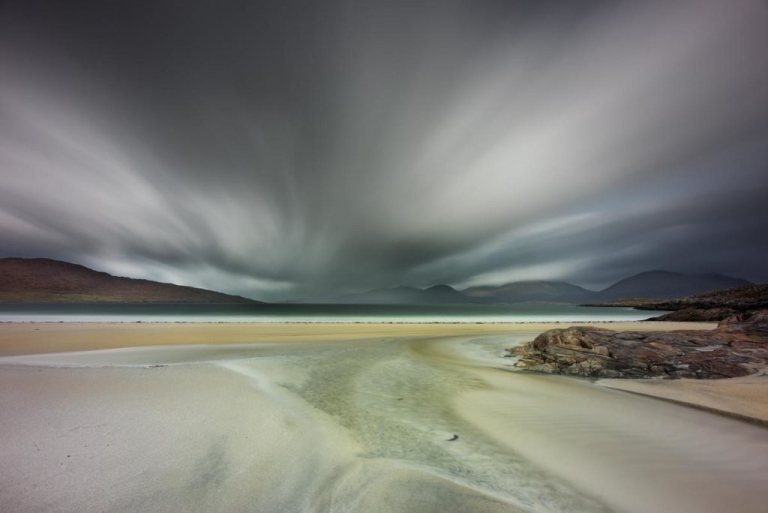 Wild Light Outer Hebrides Photography Workshops with Steve Walton FMPA FBIPP.